A Massive Lush Christmas Haul! This year I knew I had to order a zillion of Lush’s Christmas products as I had yet to try any of them – yes you read that right – never have I ever tried a lush Christmas product *swigs drink*. When pay day came I knew I would have a huge haul on my hands. So sit back, relax, and enjoy this indulgent – and very long – post about all of the AMAZING products added to my collection ready for many baths over this festive period. I’ll divide this up by the new products: Bath Bombs, Bubble Bars,Luxury Bath Melts and Shower Gels. 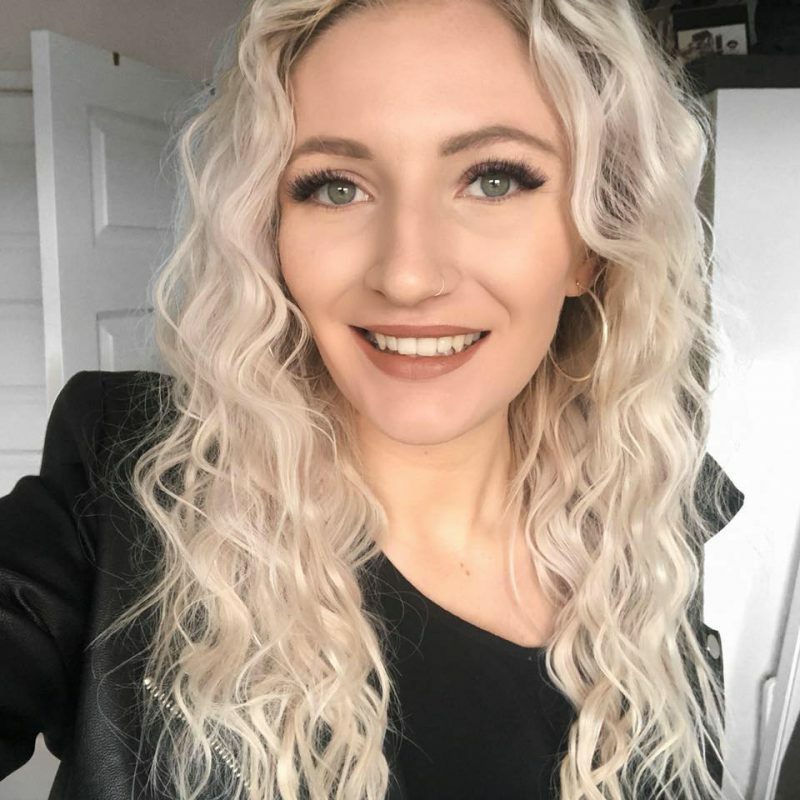 I’ve loved reading Lush hauls recently and hope you all enjoy my post about this years Christmas range. 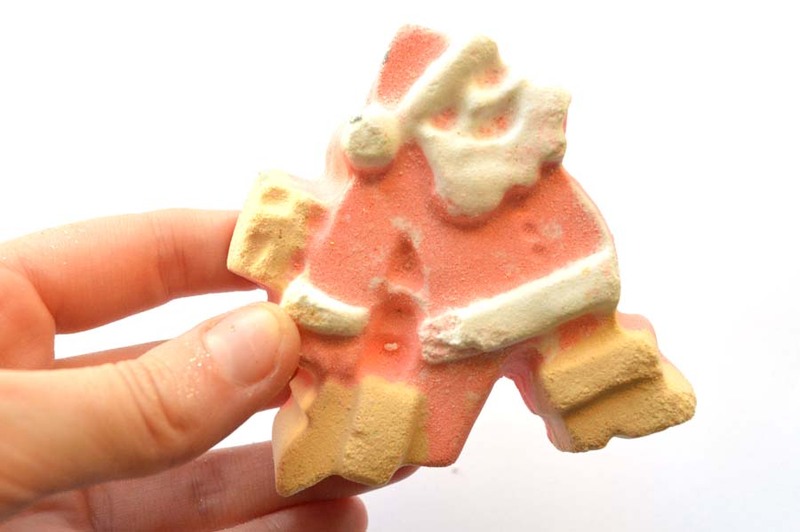 Dashing Santa: If you know about my love for citrus scents, this little fella is the perfect subtle smelling bath bomb for festive soaks. As he fizzes away, it looks as though he is running away which makes for a really great stocking filler if you’re leaving gift buying to the last minute. The mandarin oil in the product will make your skin feel super soft whilst transforming your bath into a gorgeous cherry colour. Yog Nog: Now I have a soft spot for any product that turns your bath yellow. Yog Nog was one of lush’s infamous soaps and I’m so excited it’s been turned into a bath bomb for this year. It smells sweet, with notes of cinder toffee with a subtle mix of spice, it reminds me of christmas stalls at winter wonderland where they make sugary deserts fresh, if there is a product Lush should make edible it’s this. The best thing about this bath bomb over its gorgeous scent is the combination of shea butter, cocoa butter and coconut oil this will make all skin types incredibly soft extremely quickly. It’s a must have! Butterbear: this little bear was only £1.95, making it the most inexpensive product from my haul and a cheap gift for any stocking. Every year lush re-brand the Butterball Ballistic for a more Christmas themed make over. This is a really simple scent with cocoa undertones contructed by cocoa butter, ylang ylang oil and cocoa powder. This is going to be great for anyone with sensitive skin. 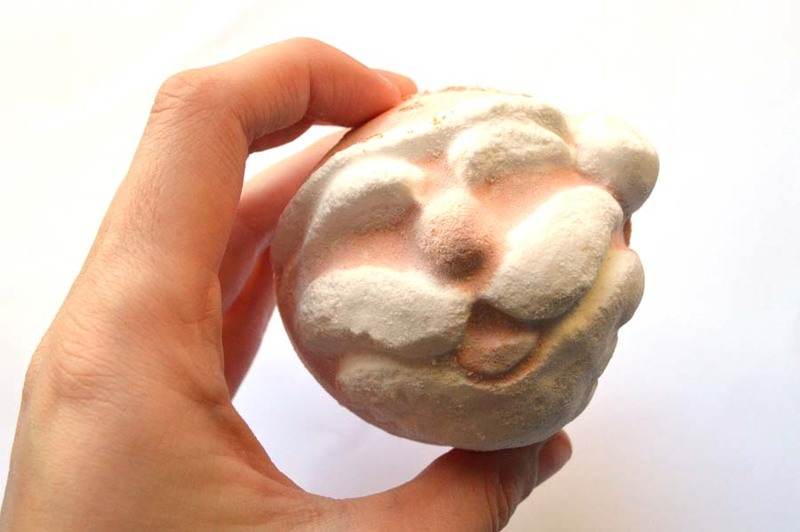 Father Christmas: this is bath bomb with the Snow Fairy scent. This product melts away as with its red and white outer whilst exploding a green core making your bath certainly worthy of the #christmas on Instagram. The smell of the candyfloss snow fairy fragrance will last hours on your skin whilst containing butters that will lather wonderfully into dry skin. 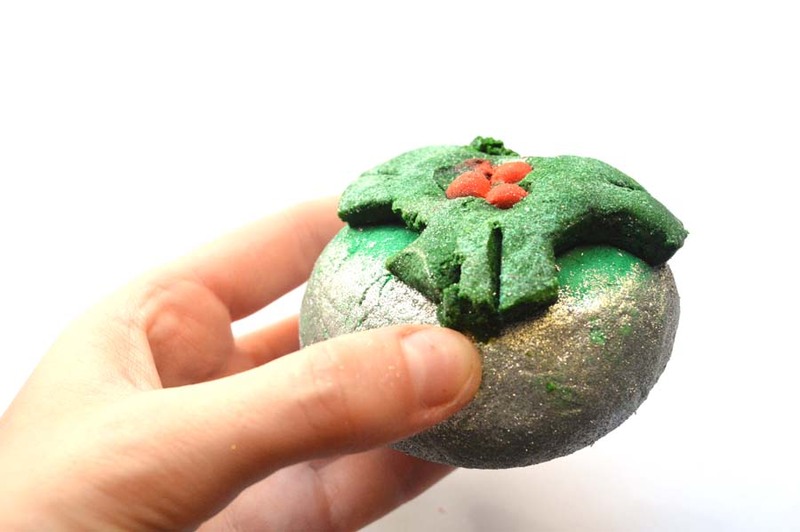 It is Christmas in a bath bomb and I know everyone will love this! Star Dust: Again a smaller bath bomb that Lush’s regular sized ones, this is brilliant when again want another simplistic scented bath. No frills, no bold colours and no obsessive glitter, just a small amount of star confetti stars that emerge as it fizzes away. Not always do you want a dramatic bath and this is perfect for those nights. For some reason it reminds me of icing sugar in smell, which feels christmassy to me as this is the only time of year I find myself baking, or at least contrusting ready-made gingerbread houses with the gorgeous musk staying on my skin for a while after use. 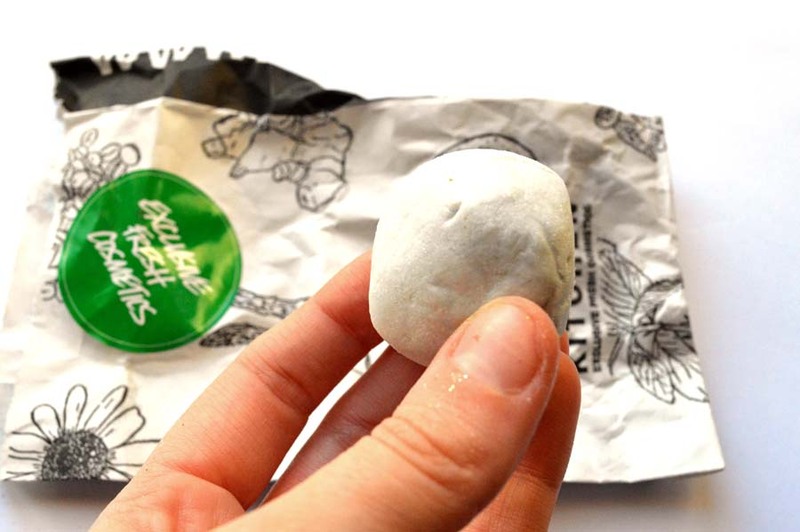 So White: This has to be one of my favourite from the entire range of bath bombs, smelling subtly of apples. 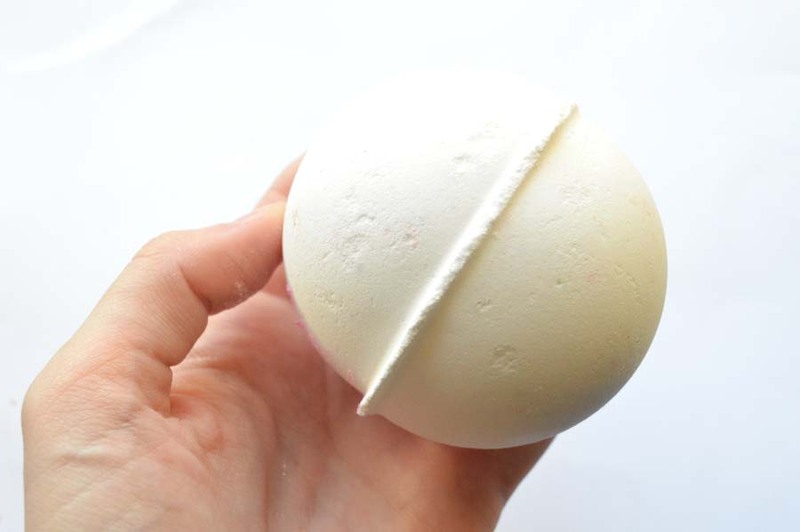 On the outside, this looks like a simplistic white bath bomb but as it melts its rosy centre is revealed and is one of the products that fills the bathroom with its gorgeous smell and stays on the skin for ages. 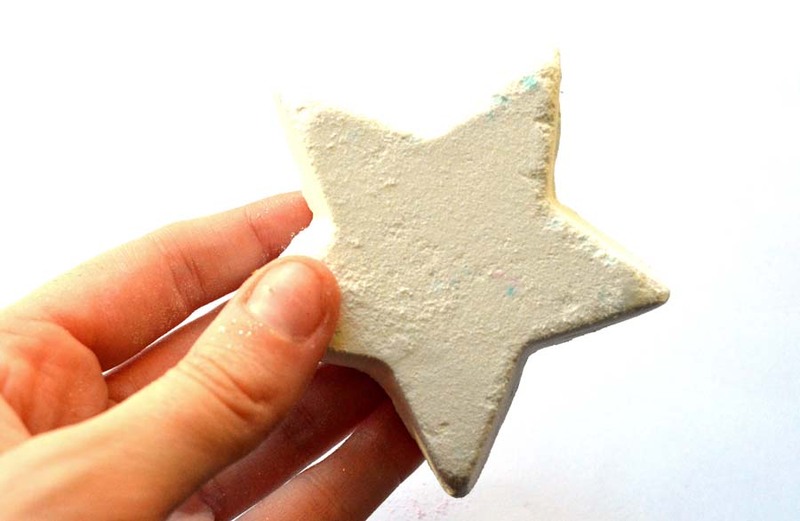 So White is one of the most popular products from the Christmas range and I can see why, it’s great when you don’t want a glitter party or a colour stained bath and I think I’m going to have to pick up a few more of these before they stop selling them. 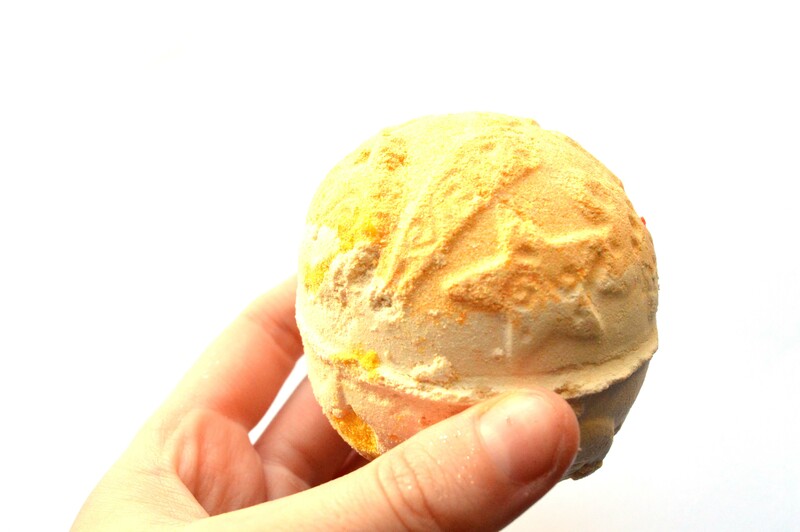 Luxury Lush Pud: to contrast the previous, this is a show stopping bath bomb, resembling the classic Christmas pud. Its staple smell is of lavender with tonka and ylang ylang oil (ever tried the Twilight bath bomb? it shares its smell with that) which makes for a very relaxing experience after a stressful day. The coloured spots in the bath bomb mean this is so exciting to watch as it explodes with colour, making your bath totally instagram-worthy. This is another one I’ll have to stock up on before they stop their Christmas range. 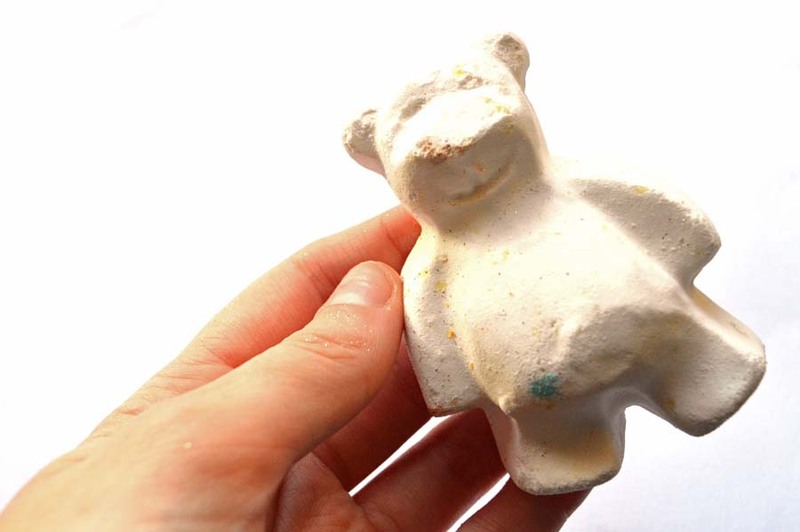 Holly Golightly: Bubble bars are my favourite products as they last FOREVER. I get anywhere between 4-6 uses out of the one product meaning they are great value for money. 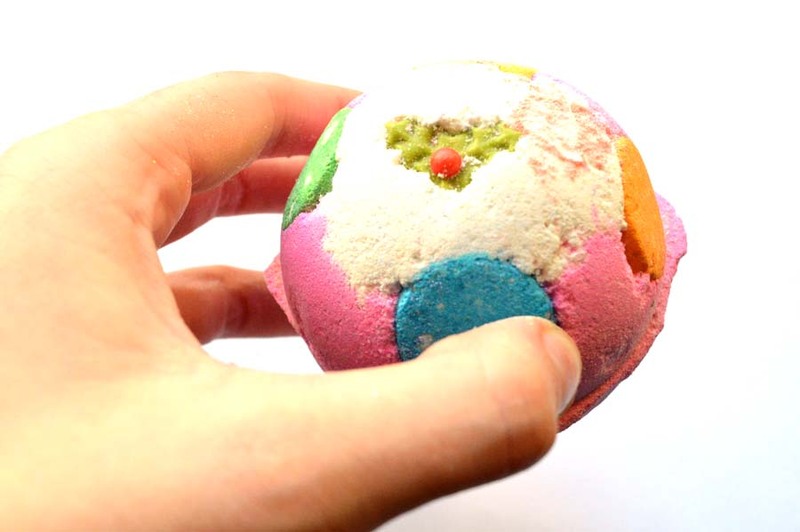 This glitter covered, well-rounded fruity scent, gorgeous looking bubble bar is a winner in my books. It’s one of those don’t-want-to-ruin products though, but when you do, you’ll get a bright green bath that will warm up any body after these chilly evenings. Warning: your hands will become extremely glittery but all in the name of Christmas! 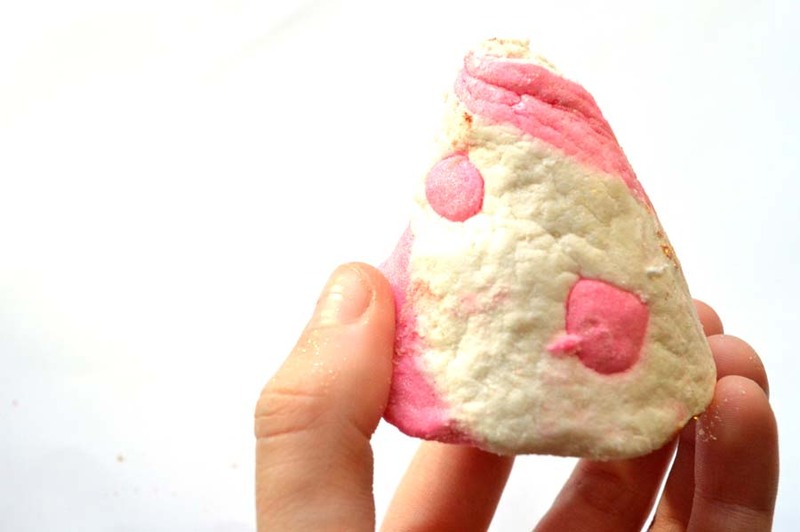 Candy Mountain: a smaller of the bubble bars, I predict I’ll get three baths out of this pretty looking product. Mine did crumble a little in the post *sigh* but nonetheless smells exactly like the Snow Fairy shower gel, one of Lush’s most coveted Christmas products, smelling of sweet vanilla and candyfloss. It smells gorgeously sweet and would be the best companion alongside a candle-lit bath this winter. If you’re like me and love the Comforter, you’ll definitely love this! Five Gold Rings: What I love with this is that you’ll definitely get five baths out of it, making that less than £1 per bath! They smell super Christmassy but the smell is hard to actually pinpoint – a mix of the vanilla, tonka absolute, gardenia and benzoin resinoid smell amazingly festive. 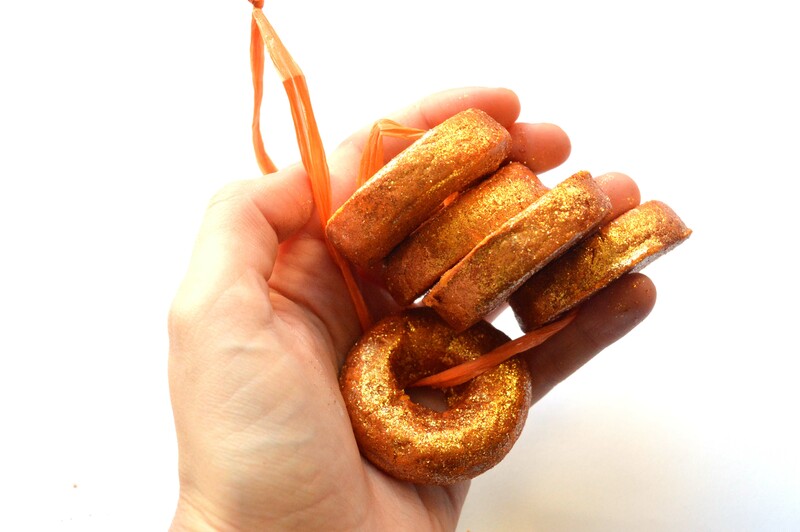 This will turn your bath a glittery gold colour and screams ITS CHRISTMAS! What a great gift for a Lush lover or as a treat for yourself after all that Christmas shopping! 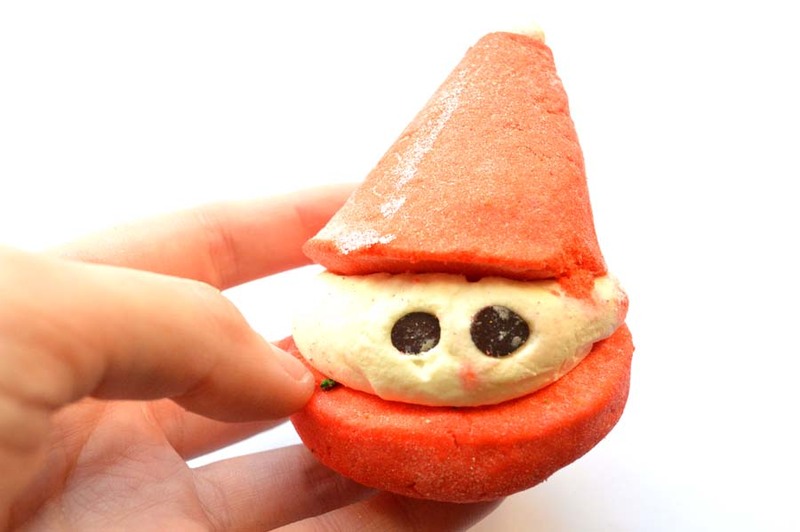 Peeping Santa: award to the cutest looking product goes to this bubble bar, 100%. This shares its scent with the Yummy Yummy Yummy range, smelling like sweet strawberries as well as notes of fruit and leaves at the same time whilst also offering moisturising cocoa and shea butter in its filling. The eyes are made of chocolate chips and is so simple but so wonderful at the same time. A small amount of this Santa will yield a large amount of bubbles and will turn your bath a festive red! Snow Melt: Now I’ve never tried a Bath Melt before and I can’t wait to use this. This is another one that looks simple to look at but has hidden colours in its core. This was an Oxford Street exclusive at first then released online for everyone to grab hold of. Again compacted with cocoa and shea butter, this will help dry skin come to life. It has a smell mixed with Peppermint and Pine which smells incredibly Christmassy. This doesn’t provide a display like the bath bombs but are amazing for the skin and I recommend you try one if you haven’t already! 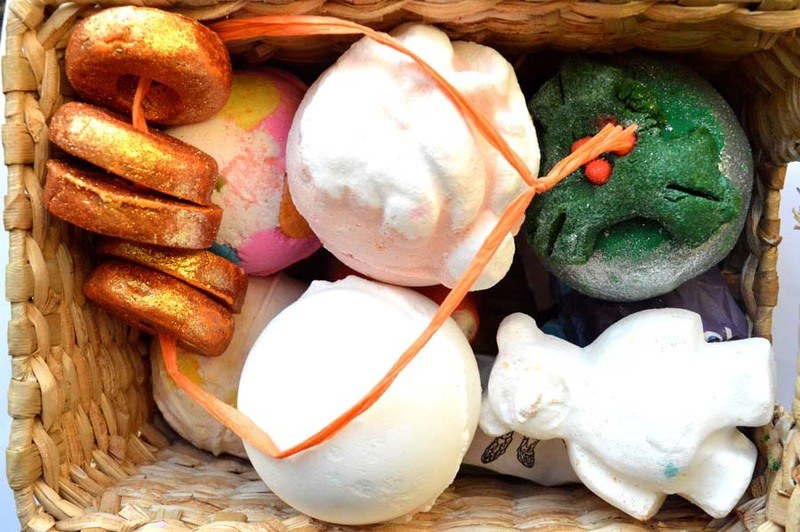 Snow Fairy: You didn’t think I had a Lush Christmas haul without one of these did you? I had never smelt this before but went on the recommendation based on the fact it is a sweet scent resembling candyfloss. I grabbed a 500g bottle so it lasts me a while! I’m not dissapointed, it smells amazing – I can understand totally understand its hype. 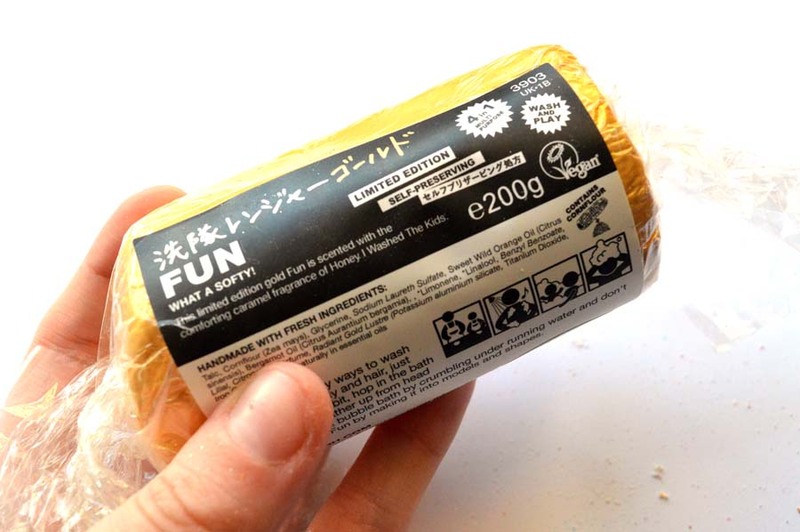 Gold Fun: Okay not technically solely a shower gel but can be used as it in its multiple uses that also include bubble bath, shampoo and as modelling clay before you use them in the bath. I picked the Gold up as it smells of Honey I Washed the Kids, fulfilling my love of sweet scents created by honey and caramel tones. You simply tear of the amount you desire and have fun with it – hense the name. Never tried this before and can’t wait to pretend I’m 5 again! So there we have my biggest Lush haul to date, completing my countdown to Christmas with gorgeous smelling products! I’m set for so many amazing baths this month and I love having an excuse to wind down with a comforting bath. My dissertation hand in is in two days time (WHAT?!) so I can’t wait to relax completely after its submission with a cocktail of my new Lush goodies. Have you stocked up on any Lush Christmas products this year? Be sure to let me know your favourites! Why not visit this months sponsor: Earth to Kace. Next Post Looking Back – Did I Meet My 2015 New Year Resolutions?